Earn $4.74 in VIP credit (474 points)What's This? 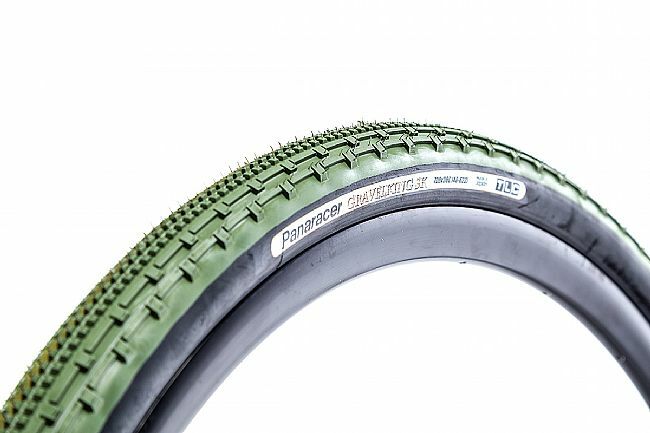 Panaracer's Gravel King SK Limited Edition 700c Gravel Tire is designed to take on rougher riding and terrain with its aggressive side knobs, puncture protection breaker, ZSG natural rubber compound, and low rolling resistance casing. 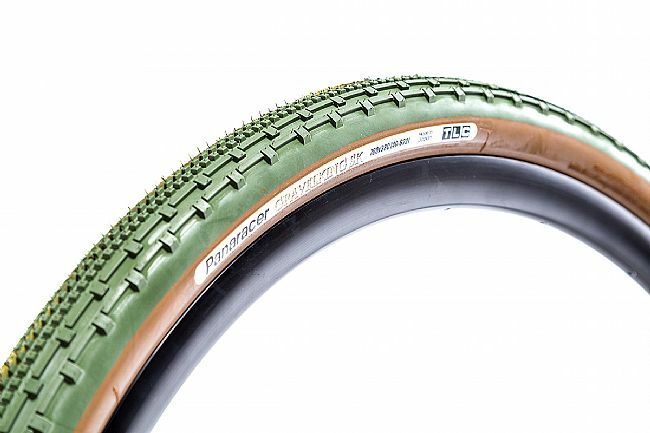 It's tubeless compatible up to 60 PSI. For gravel, dirt, rough pavement. Tubeless compatible up to 60 PSI. AX-α low rolling resistance casing. Great tires, roll fast and quiet. First gravel road race was 35 miles, with some pretty crazy 2 tracks not too muddy. Ran about 50 PSI. I did get out the digital caliper and they measured out on a 22mm rim more like 700x40 than 43, but mounted on a wider rim they were a full 43mm. 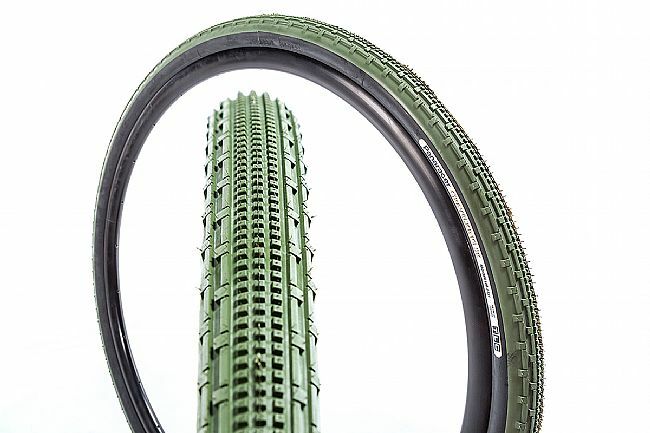 I bought these tires in green because they look good with my tan frame. Really though, the color is the least important thing about these tires. 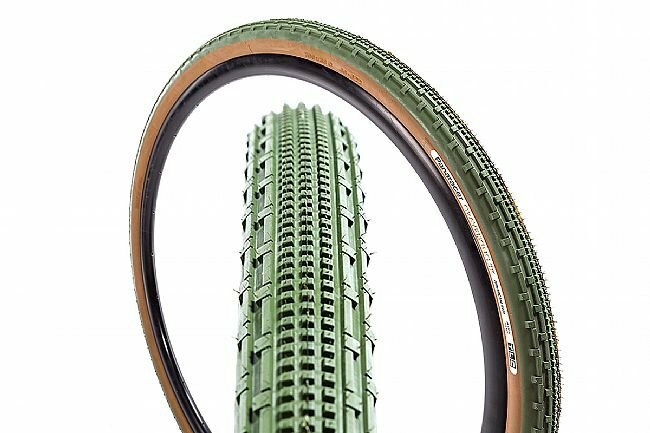 I use them on a gravel bike that I occasionally also use to commute. They have been durable so far (I've got several hundred miles so far) with no signs of wear. Good traction on gravel and hardpack dirt. The pattern works well on roads with the reduced height knobs in the center of the tire. Much quieter than the WTB tires they replaced. Not too heavy. The gumwall looks pretty sharp too. Not the lightest gravel tire, but not the heaviest either. I would buy these again.